"I have been instructing Jon-Paul for at least 15 years. He has always delivered on producing a 1st class service whether that be in the preparation of a bill, a budget, advocating on costs issues or negotiating costs. His technical knowledge is such that he has for some time been our ‘go to man’ on all costs points. I have become involved, through Jon-Paul, with Lee in recent years and have been impressed with all aspects of his work, his enthusiasm for what he does and his professionalism. Effective costs recovery is paramount. I will not have our hard work short changed by under settling our costs and this is where I have found I can entirely rely on Jon-Paul and Lee to deliver; they fight hard to get what we deserve. 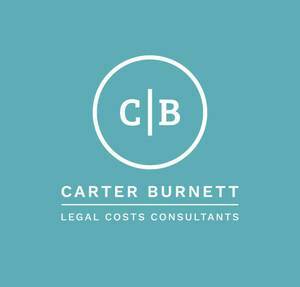 I manage a team of 11 clinical negligence lawyers and it says enough that the whole team regard Carter Burnett as the 12th man!" "I have known and worked closely with both Jon-Paul and Lee for a number of years, predominantly, whilst working as an Associate, and then Director, at specialist clinical negligence firm, Longden Walker & Renney. I cannot recommend them highly enough. Whilst working at Longdens, Lee and Jon-Paul were very much considered as part of the team. I have instructed them both, on many occasions, and had the pleasure to work closely with them on complex, high-value, clinical negligence claims – including preparation of detailed bills, budgets and costs-related pleadings. I have attended many costs case management conference hearings with Jon-Paul and Lee, and have always felt confident with them by my side. They are both excellent advocates and we have enjoyed some great results over the years. Personable and extremely professional; if you are looking for top-notch costs advice, drafting and/or representation, especially in the clinical negligence or personal injury sector – then this is the team for you." "I have known and worked with Lee for many years. He is an excellent professional, serious, focused, and always with a smile on his face. It is a real pleasure to work with him and I strongly recommend his services."